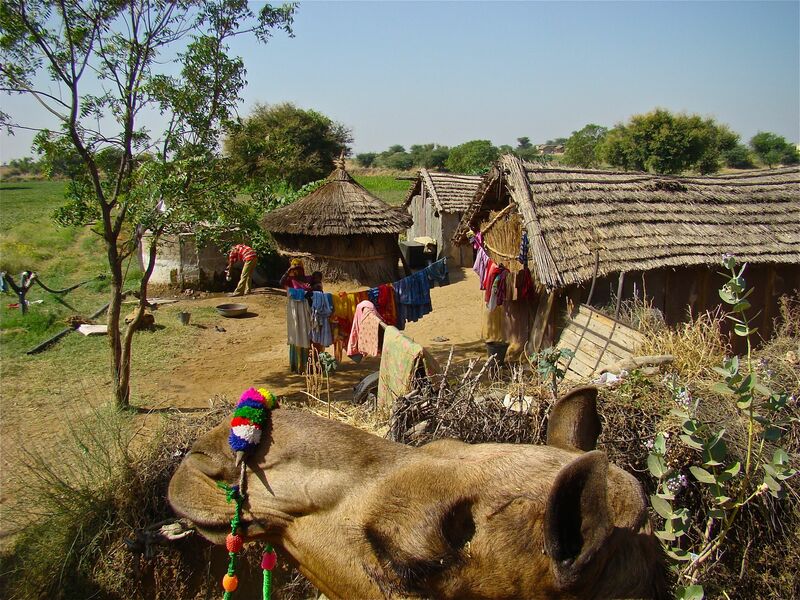 In the fall of 2008, Olympia-based anthropologist and Evergreen professor Llyn De Danaan traveled to the Indian state of Rajasthan with a group of visual artists. 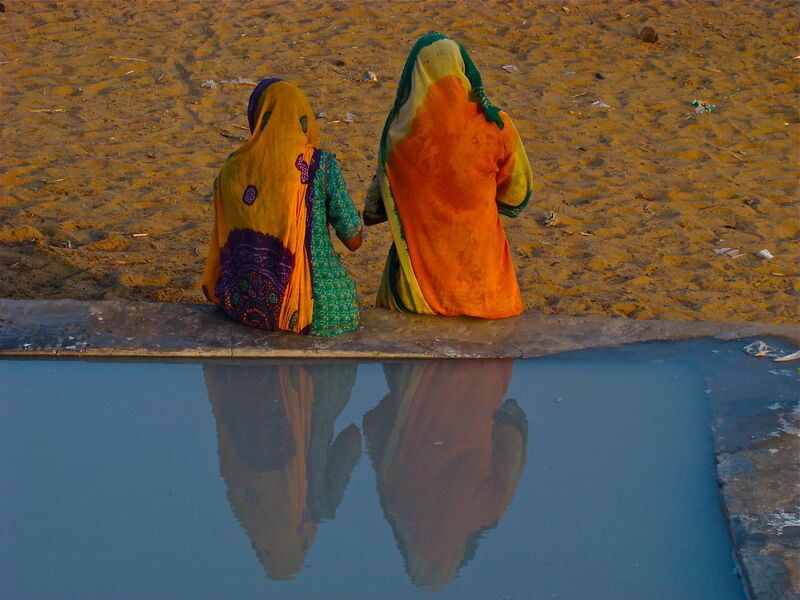 Her goal was to produce a portfolio of portraits of Rajasthan, but she also brought along her Zoom digital recorder. 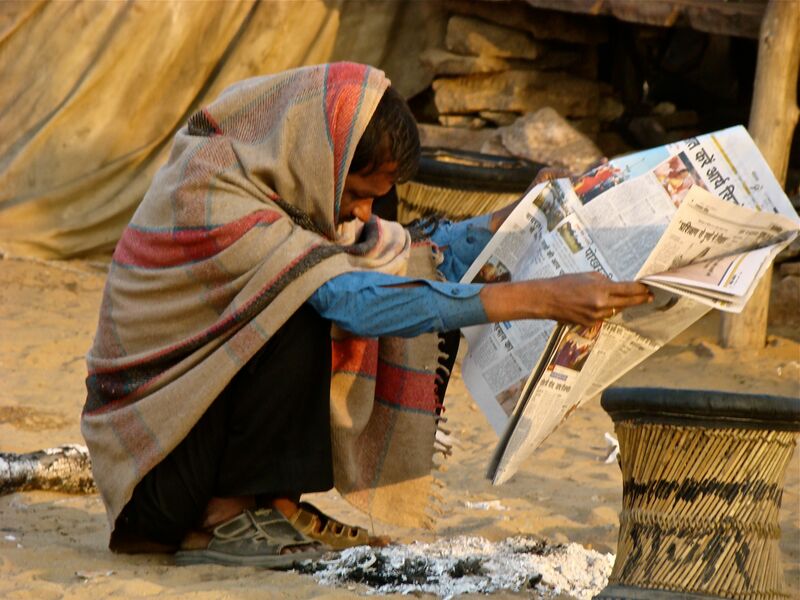 While there, she recorded the sounds of the streets and schools of this colorful region of the Indian subcontinent. 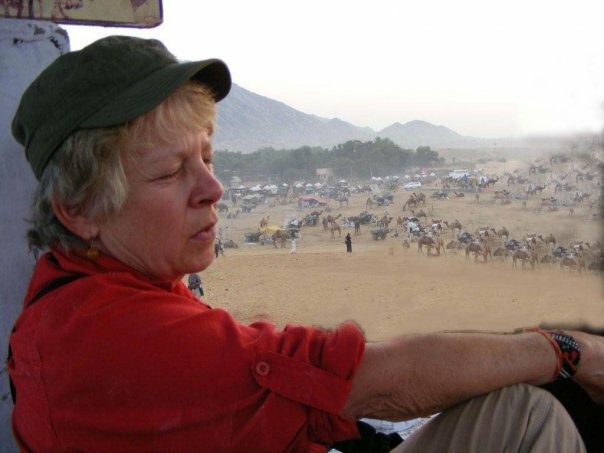 Upon returning to Olympia, she compiled the sounds of birds, songs, tunes, dances and the back country of Rajasthan into a 26 minute audio documentary that will transport you. So hit play, kick back, browse the photos and enjoy a new perspective. 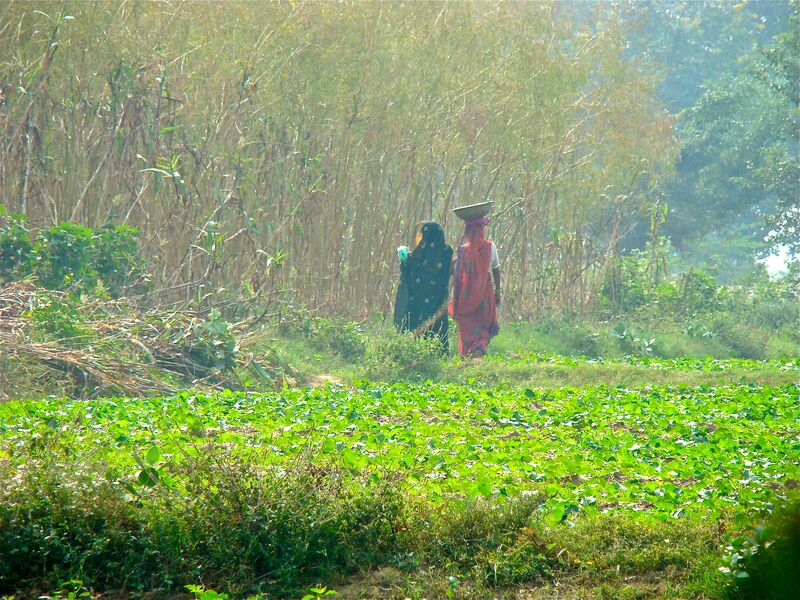 All photographs and soundscape by LLyn De Danaan Fall 2008. 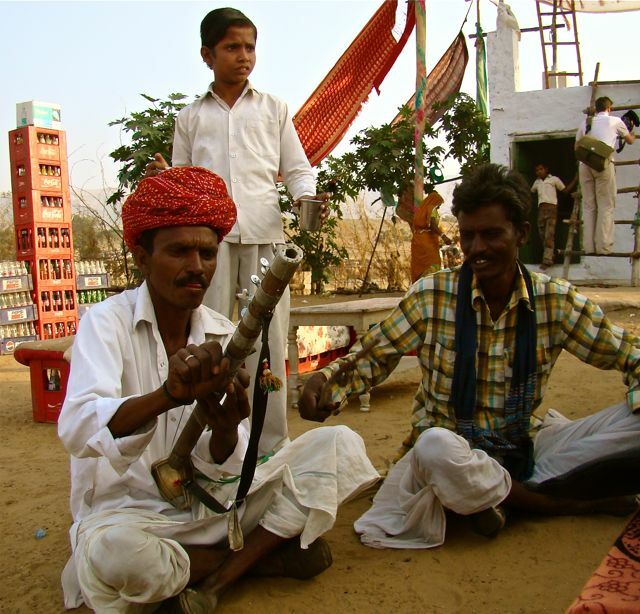 Man tuning his Ravanahathha during Pushkar Camel Fair. Made at home, these instruments feature a coconut shell bowl covered with goat hide. The neck is bamboo. Small bells keep time and add depth to the draws of the bow across the strings. 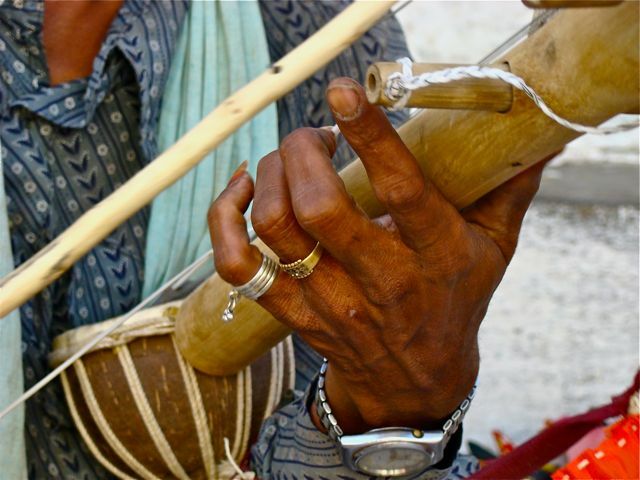 Closeup of Ravanahatha being played by musician in Udaipur. 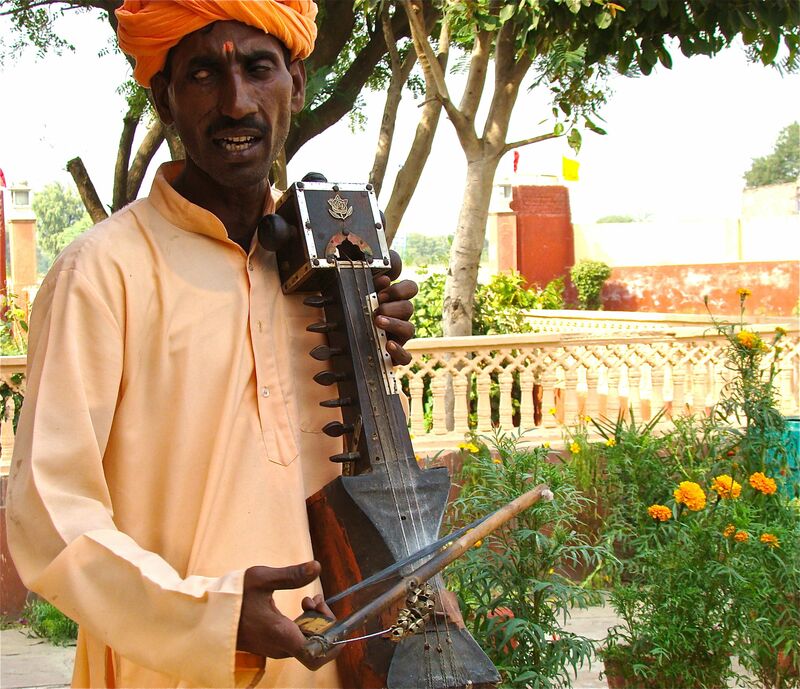 Man near Jaipur playing one form of a Sarangi, an instrument in the classical Hindu tradition found throughout Rajasthan.